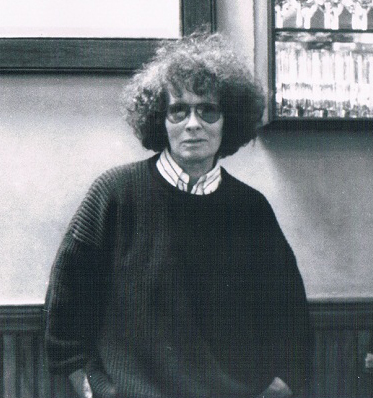 Dory Previn Shannon died on Tuesday morning, February 14, at her home in Massachusetts, according to her husband, artist Joby Baker. She was 86 years old. Dory Previn Shannon's career included works as a lyricist, composer, novelist, non-fiction author, playwright and recording artist. She wrote extensively for film and television, garnering Academy Award nominations for "Come Saturday Morning" (from THE STERILE CUCKOO, 1969) with Fred Karlin, "The Faraway Part Of Town" (from PEPE, 1960) and "Second Chance" (from TWO FOR THE SEESAW, 1962), both written with Andre Previn. She and Previn also wrote the theme and score for VALLEY OF THE DOLLS, as well as "You're Gonna Hear From Me" from INSIDE DAISY CLOVER. Among her other film credits are the theme to ONE, TWO, THREE and the title song for LAST TANGO IN PARIS. For television, Previn Shannon won an Emmy Award in 1984 for "We'll Win This World" (from TWO OF A KIND) with Jim Pasquale and an Emmy nomination in 1985 for "Home Here" (from TWO MARRIAGES) with Bruce Broughton. As a composer/lyricist/librettist, her works include a libretto for Mozart's opera THE IMPRESARIO (RCA Records); THE MAGIC NUMBER, a work for voice and orchestra written with Previn, given its world premiere by the New York Philharmonic in April 1997; and SCHIZO-PHREN, a one-woman play with songs. In 1983 Previn Shannon wrote and appeared in a musical statement on nuclear war, AUGUST 6, 1945, at the Mark Taper Forum, Los Angeles, featured alongside Tyne Daly, Judd Hirsch, Thelma Houston and Bernadette Peters. Revues devoted to her songs include: DORY PREVIN-LADY WITH A BRAID (Manhattan Theater Club, 1977); HUNKY DORY (Gaiety Theatre, Dublin, 1979); CHILDREN OF COINCIDENCE (Gaiety Theatre, 1980, performed by Previn Shannon and subsequently broadcast); DORY-A MUSICAL PORTRAIT (Los Angeles, 1991); and ON MY WAY TO HERE (South Africa, 1996). Her recording career began in 1970 with United Artists Records, for whom she made five albums, including On My Way to Where and the best-selling Mythical Kings and Iguanas. Her third album, Reflections in a Mud Puddle, which contained a eulogy to her father, was voted one of the best albums of 1972 by Newsweek Magazine, and was included in the New York Times critics' choice as one of the outstanding singer-songwriter albums of the '70s. Other albums include: Mary C. Brown and the Hollywood Sign (1973); Live at Carnegie Hall (1973), featured in a book of the two hundred best rock albums; Dory Previn (1975); We're Children of Coincidence and Harpo Marx (1976); and In Search of Mythical Kings, a compilation of 21 songs released by EMI Records in the U.K. (1993). 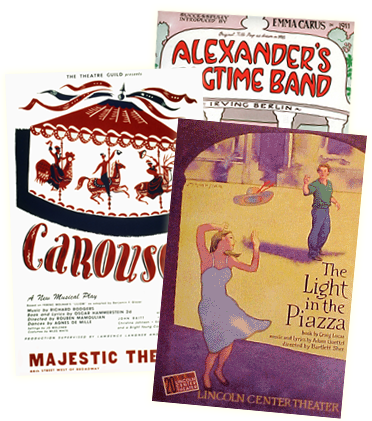 Artists who have recorded Previn Shannon's works include Georgia Brown, Tony Bennett, Zoe Caldwell, Diahann Carroll, Rosemary Clooney, Bobby Darin, Sammy Davis, Jr., Doris Day, Blossom Dearie, Eileen Farrell, Michael Feinstein, Judy Garland, Dexter Gordon, Sylvia McNair, Mark Murphy, Houston Person, Leontyne Price, Frank Sinatra, Dionne Warwick, k.d. lang and Nancy Wilson. As a writer of poetry and prose, Previn Shannon's works include three books, On My Way to Where, Midnight Baby (also translated and published in Germany) and Bog-Trotter. Her numerous short stories have appeared in The American Voice, the USQR, Trinity Press International and Cowley Publications. She also worked on a novel, Word-Play with an Invisible Relative. Dory Previn Shannon appeared in SRO concerts around the world, including Carnegie Hall. She last appeared in concert during the 1987-88 season, with performances at the Olympia Theater, Dublin, and the Donmar Warehouse, London. Between her writing and performing engagements she lectured on numerous topics, including: lyric writing (UCLA and The New School); lyric writing for film (USC); recording albums (UCLA); and writing autobiographies (Claremont College). She also spoke at several colleges and universities on the topic of mental illness as conveyed through lyrics and poetry, and her work has been used in the study of mental illness as well. Previn Shannon suffered bouts of schizophrenia and mental illness at various times in her life but, in the words of Joby Baker, “she always wrote her way out of her problems” through her lyrics and poetry. A celebration of Dory Previn Shannon is being planned for later this spring in Massachusetts.